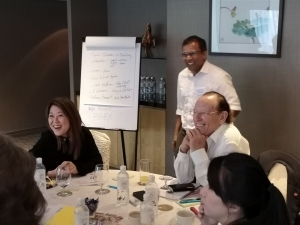 On 26 July in Singapore, Nicholas Hall, Shayne Garcia-Madamba and David McCaughan ed an open workshop exploring how marketers can transform their strategy to ensure they are responding to the consumers’ need for meaningful digital experiences with brands. They explored how to define your digital maturity model and identify the ideal digital role for your brand in order to achieve digital brilliance. Attendees were also equipped with the tools needed to measure their performance.